These beautiful Art Cards feature hand-painted, bold, whimsical designs printed on seriously sturdy board-book card. Each set includes six reversible designs in a presentation box. The black and white images and their repeating patterns are designed to capture the attention of tiny eyes. They are perfect for creating a cot gallery or propping up around your baby whilst they enjoy tummy time. 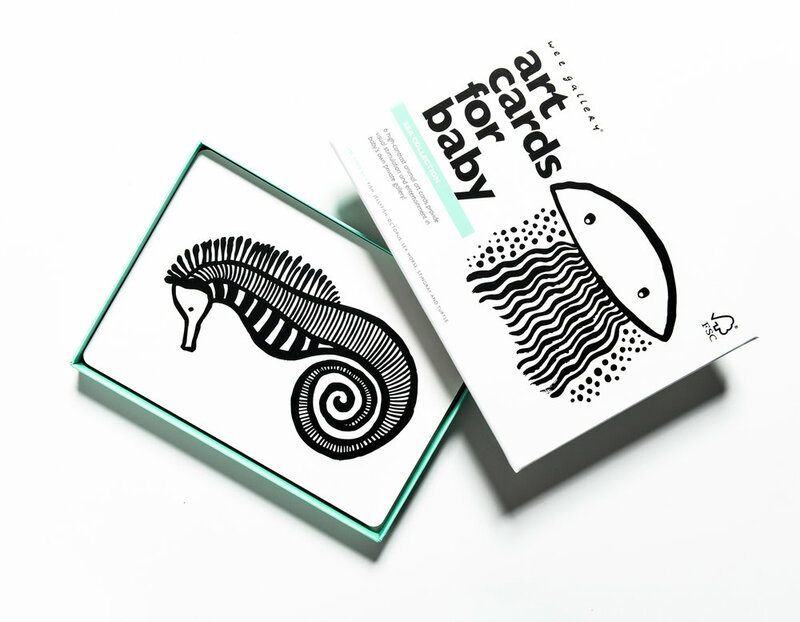 Hang on to them for as your little one grows - the art cards are great for older children too and can be used as flashcards to help develop vocabulary or as inspiration for an art project! 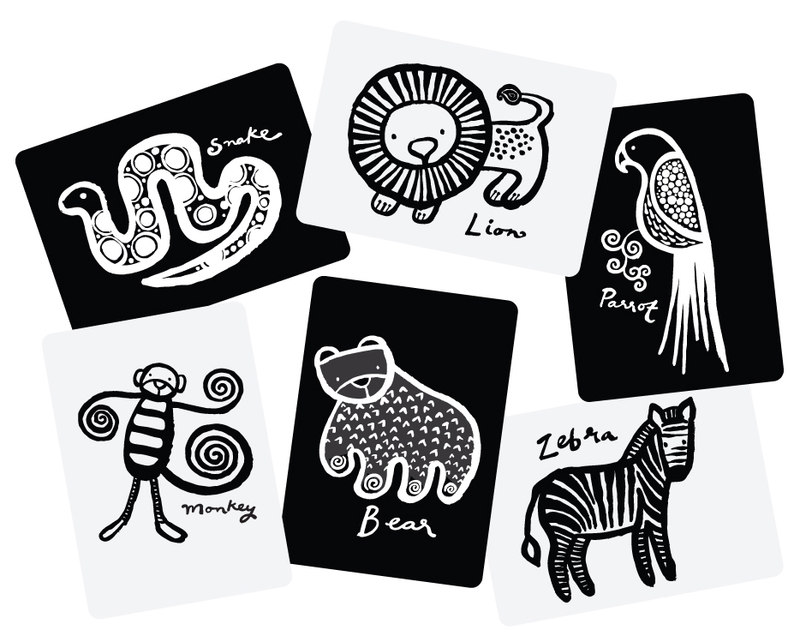 There is a choice of 'Sea Collection' or 'Jungle Collection' Art Cards available. The cards measure 5" x 7".